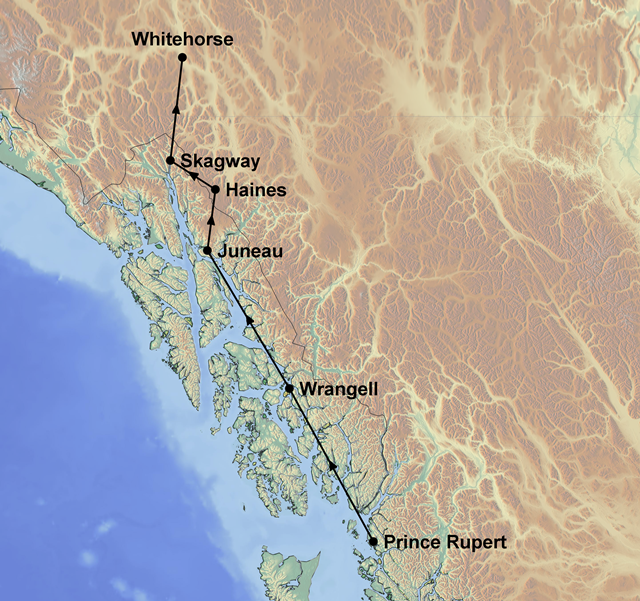 Travelling from Prince Rupert to Whitehorse, this tour is a lovely introduction to the Inside Passage. 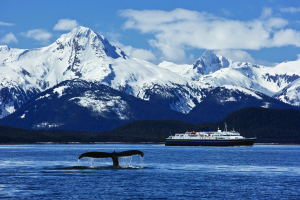 Get off the beaten path on the Alaska Marine Highway Ferries and explore communities such as Wrangell and Haines. These ferries are the most relaxed way to visit Southeast Alaska. The mix of on shore activities combined with the ferry journeys will allow you to see the magic of Alaska at a relaxed pace. This 11-day tour is an excellent add-on to Interior Alaska, Western Canada or West Coast USA. Accommodation in clean and comfortable hotels with private facilities, meals as indicated (B=breakfast, L=lunch, D=dinner), AMHS fares: Prince Rupert/Wrangell, Wrangell/Juneau and Juneau/Haines, AnAn Bear Observatory, Stikine River Cruise, Tracy Arm Glacier Cruise, Fast Ferry Haines/Skagway, White Pass and Yukon Railroad (including coach from Fraser to Whitehorse). Travel by jet-boat to the AnAn Bear Observatory. Here you have the opportunity to safely photograph black and brown bears in the wild. Experienced local guides accompany the tour. Morning tour through the lower reaches of the Stikine River. This pristine wilderness region features numerous glaciers and wildlife including moose, bald eagles, black and brown bears. Day at leisure to explore this lovely little town. You might like to visit Petroglyph Beach or hike one of the nearby walking trails. Travel by boat from Juneau to Tracy Arm. This classic fjord is surrounded by tidewater and elevated glaciers, breathtaking mountains and sheer rock walls. Watch for whales, bears, mountain goats, harbour seals and a variety of birds during the course of the cruise. Day at leisure to relax or discover some of the local attractions such as American Bald Eagle Foundation or Chilkat Bald Eagle Preserve. You may also like to take a spectacular flightseeing tour over nearby Glacier Bay National Park (cost not included).